Before I started writing The Island House, I had a big decision to make. At that time, I was the Director of Drama for the Nine Network in Australia and also still involved in the running of two television series. 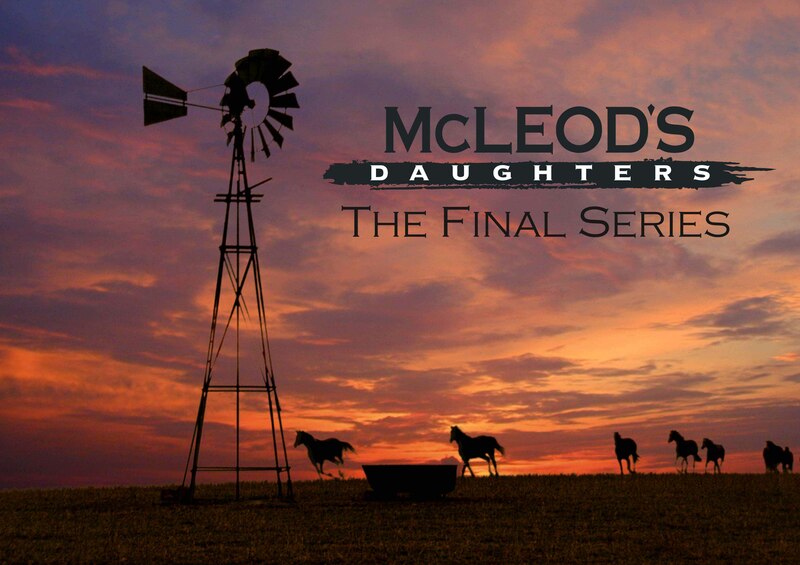 Week to week, I was the Executive Producer of the series I had created, “McLeods Daughters” – produced through my production company, Millennium Pictures – and also, (as co creator and part-owner of the brand), a presence on the daytime-Emmy nominated “Hi-5”. 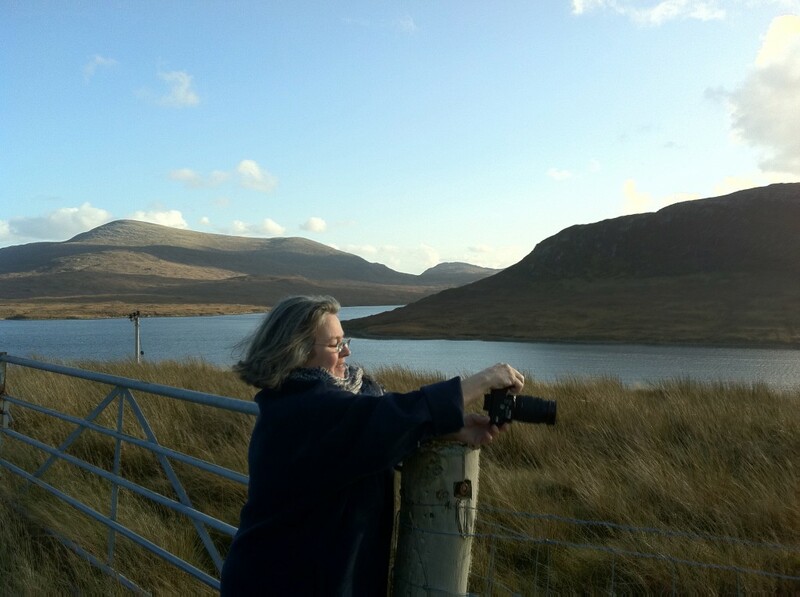 To help the characters come out of the mist at the back of my head, I needed to breathe the air they would have breathed, take in the landscape they would have seen and listen, and taste and learn… Scotland. I always knew that would be the setting. 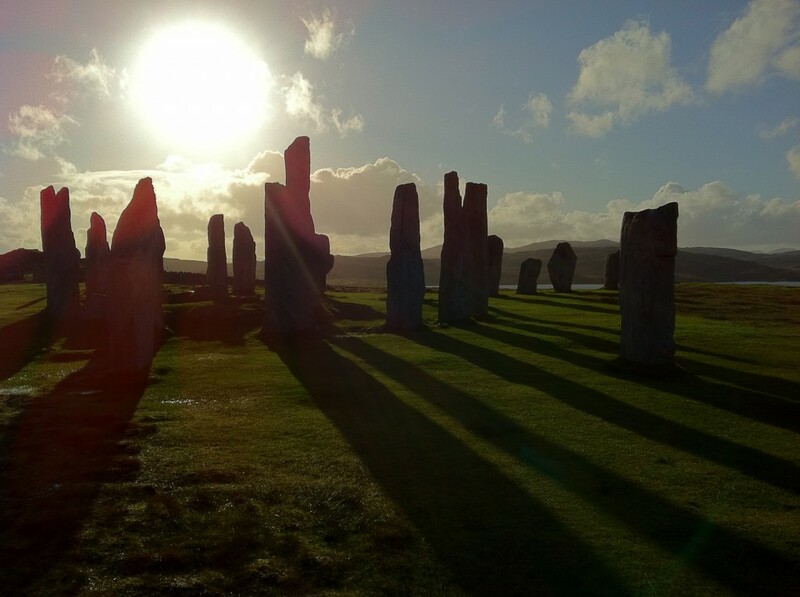 Before I wrote a word, I knew I needed to see Standing Stones. 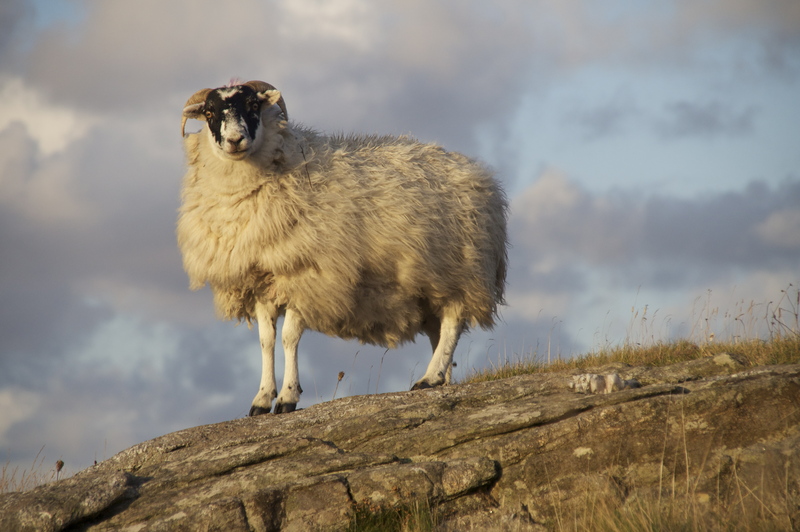 These enigmatic monuments, mostly built in Neolithic times as long ago as 3,000 BCE or earlier, can be found all over mainland Scotland and the outer Isles. Our travels would take us to the Ring of Brodgar, on Orkney, and the great standing stones at Callanish on the Isle of Lewis. 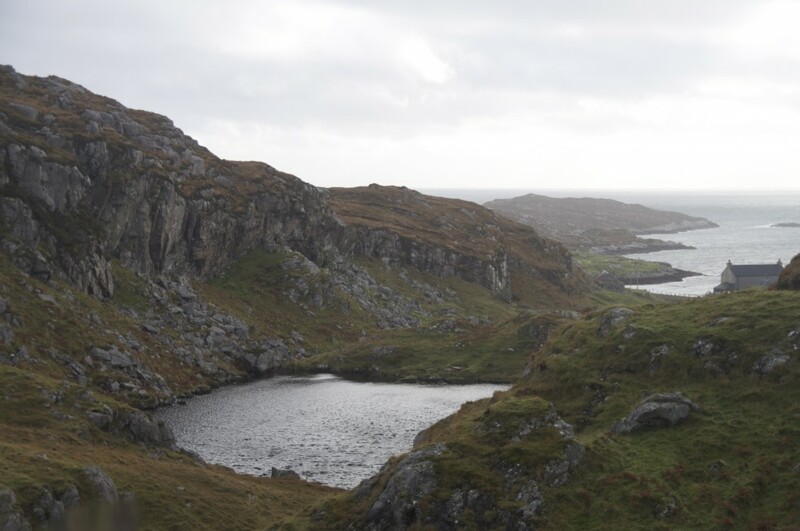 Both places influenced me deeply, and influenced, too, the standing stones on Signy’s island of Findnar in The Island House. 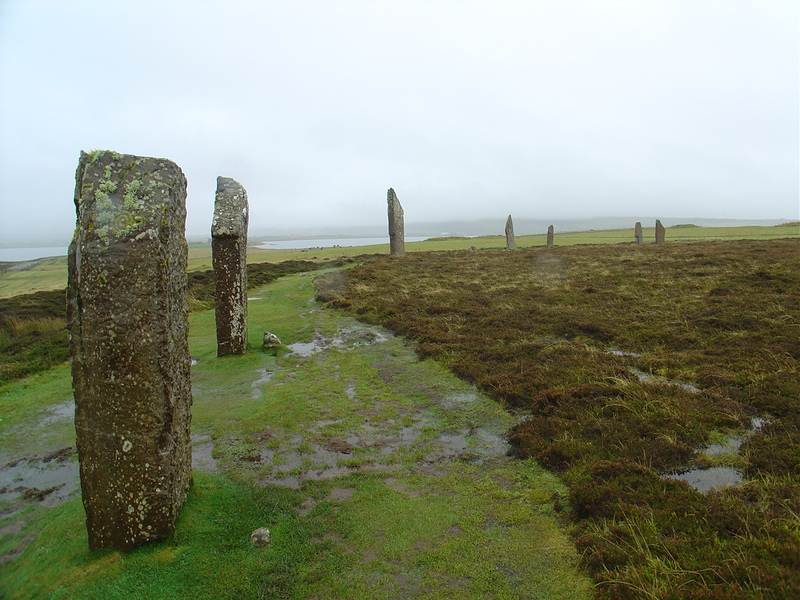 The mighty ring of Brodgar, Orkney Islands, NE Scotland; undaunted by the rain, as it has always been. 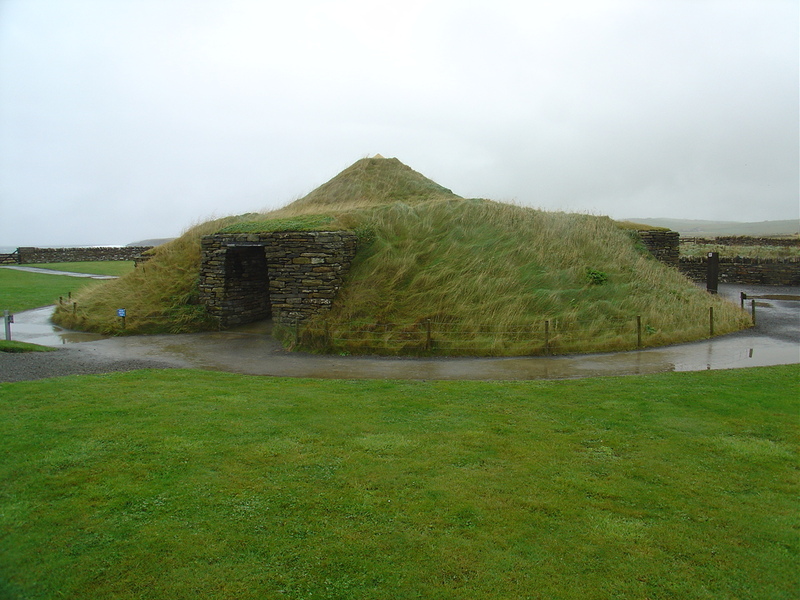 Neolithic tombs, too, took us to New Grange and the Burren in Ireland, and to see Maes Howe on Orkney. 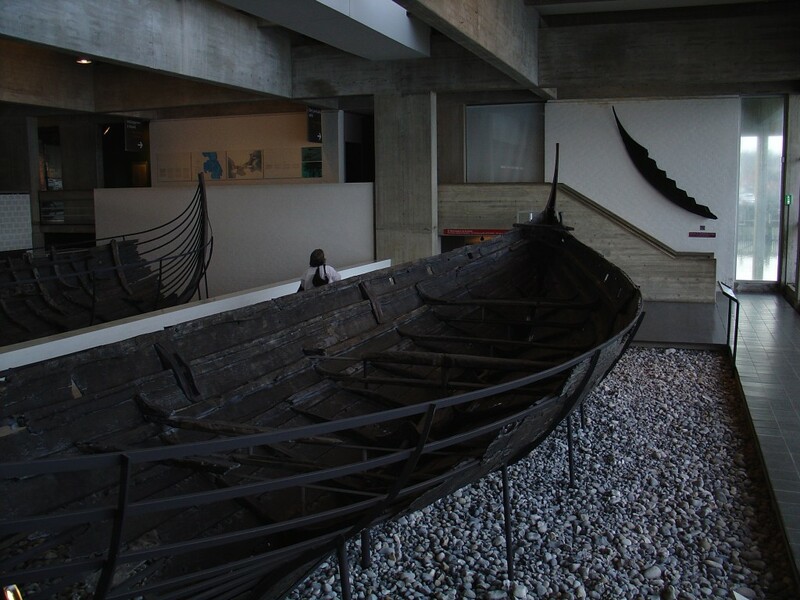 This last is a passage tomb with Viking graffiti on the walls – that was splendidly evocative. 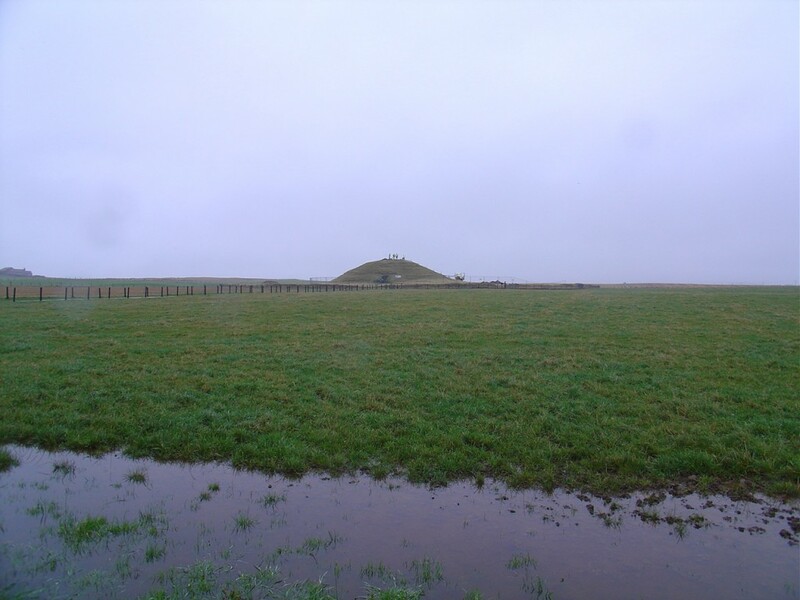 New Grange, of course, is deeply deeply enigmatic. And I got such a strong sense, there, that if I would just reach out my hand in the dark, another hand would grasp mine. Someone from the deep past. 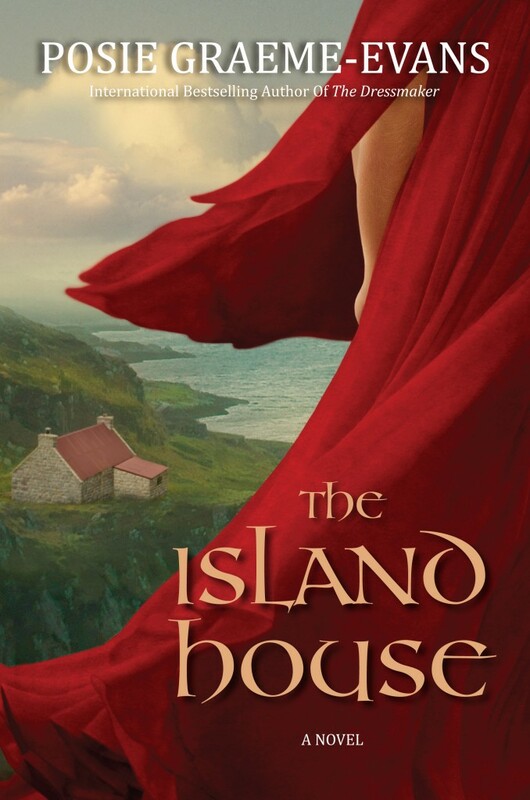 And that feeling gave me a jumping off point for Freya’s part of the story in “The Island House”, believe me! A strange but profound experience. I’ve always been interested in thinking about time. For me, the straight-ahead, linear version of existence just doesn’t make a great deal of sense. 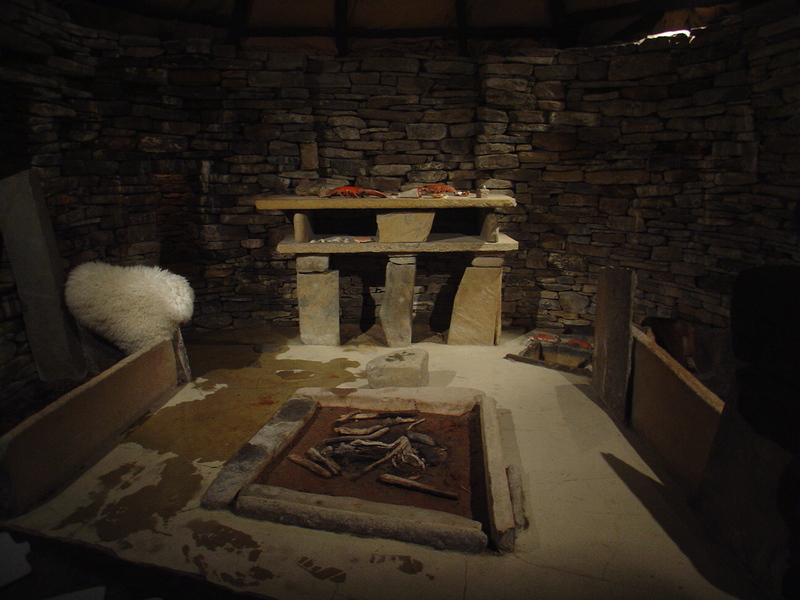 Interior of Neolithic house at Skara Brae, NE Scotland. Just like Signy’s house? But The Island House took me a loooong time to write. 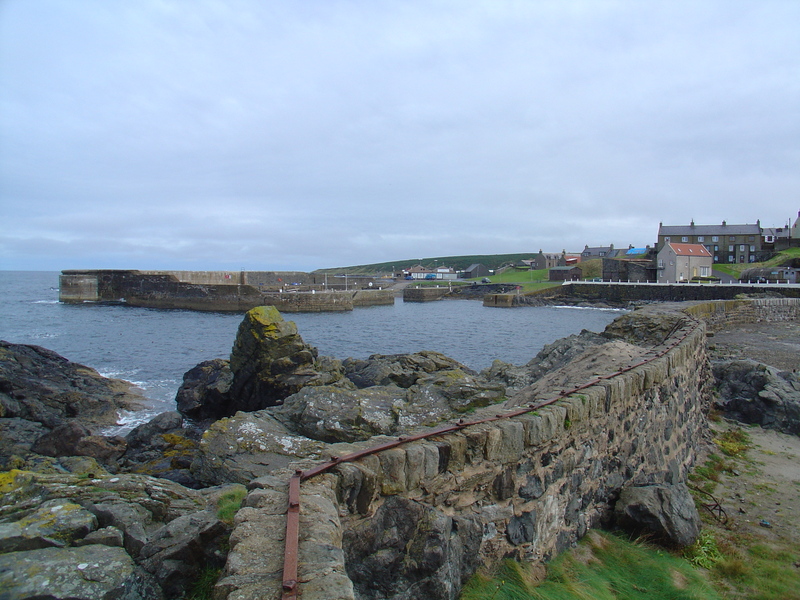 I ran into sand at the end of the second draft and had to stop for a while – during which time I wrote “The Dressmaker” (but that’s another story) – so location hunting for this book came about in three bursts during which Andrew and I ranged around the far North East and the far North West of Scotland. For, as well as the standing stones, I needed to find locations for my town, Portsolly. I found it in bits. 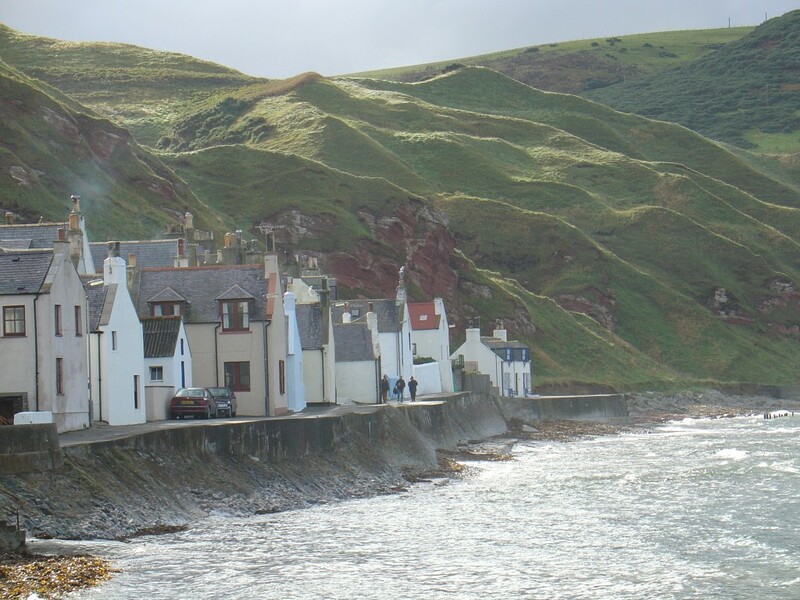 Pennan, in NE Scotland, and Cullen also and Portree on the Island of Skye, all gave me places and houses and harbours to evoke. And then, of course, there was just the landscape. Just. Such a simple word for something so grand. The light, the mountains, the sweep of the valleys, the sea. 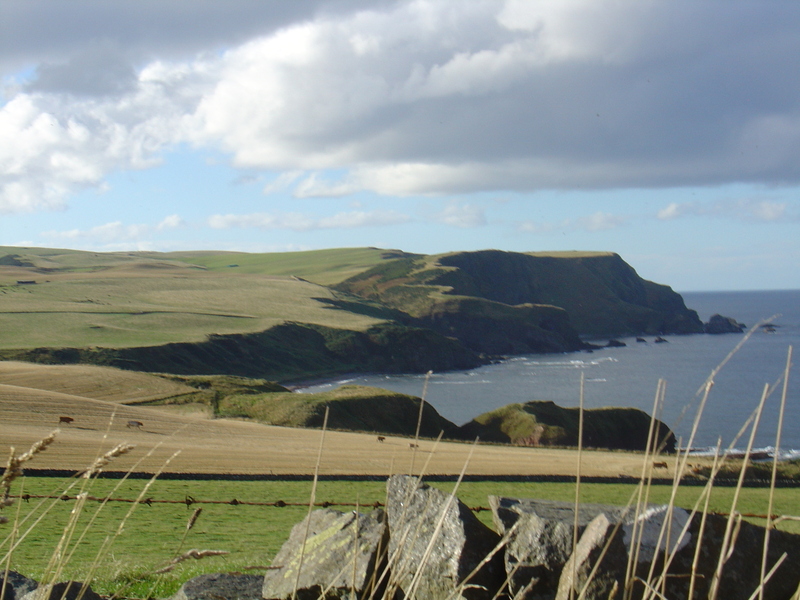 A cool autumn day and a view of the glorious coast not far from Pennan. I could live here! 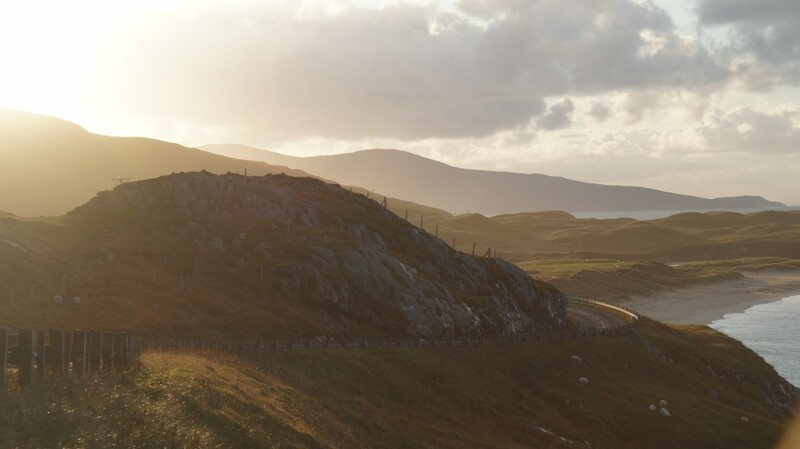 Late afternoon on the Isle of Lewis, on our way back to our hotel, and we saw this. 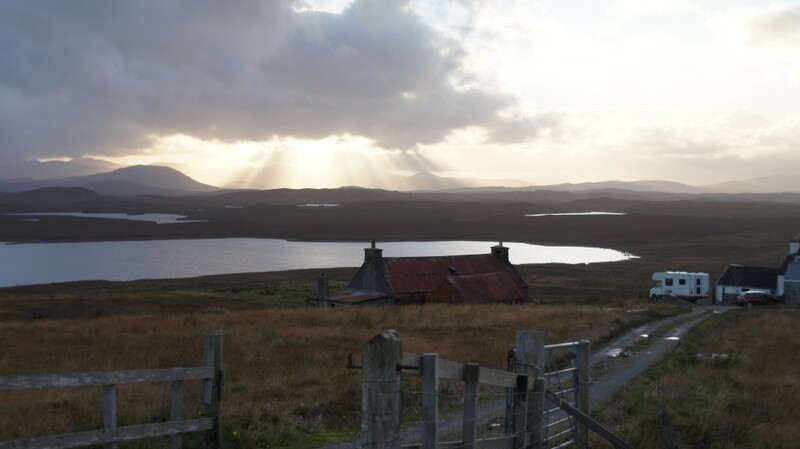 A croft on a Loch. What could be more Scottish? 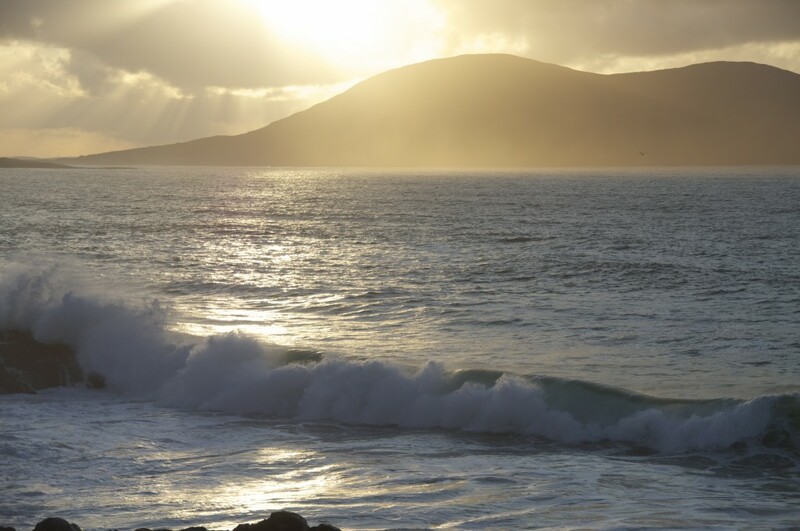 To think of what I saw is to run away back there, in my head and I hope that these images help transport you into the world of “The Island House” . 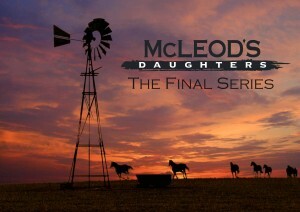 I’d go back there in a heartbeat!